1. Why do I need a Gmail account? A Gmail account is necessary so that you are able to receive the leads of interested buyers. Also, this is so that you have the ability to upload to a Youtube channel. 2. Why do I have to set up a YouTube Channel? 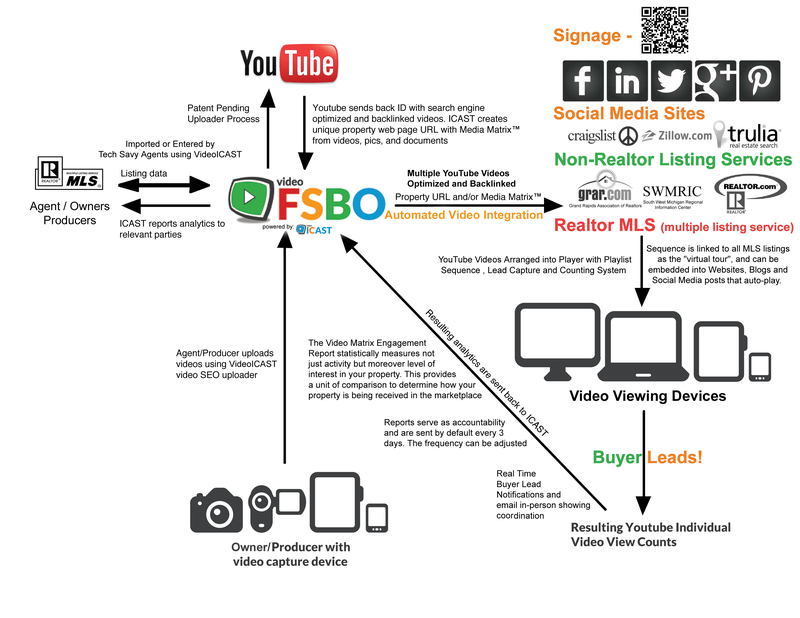 You will need a YouTube channel to optimize the viability of your property on the internet. 3. Why would I want to shoot a virtual tour of my home in the first place? People are more willing to consider buying your FSBO if they can see what the property has to offer instantly before investing there time and resources. 4. Do I have to share to social media and real estate sites? Yes. Shearing is vital, the more exposes to your property people have the quicker your property will be able to sell. 5. Can I use the app for sale of other property which I own – like a commercial building, or a boat, or personal items? Videofsbo.com is programmed to list multiple variables of property types but we recommend and designed around real-estate. 6. How does the software actually work? 7. Will it SEO (search engine optimize) the videos which I shoot? Yes. Videofsbo will keyword tag optimize and back-link the videos url to maximize the find-ability on the internet with street names, zip-code, state and homes for-sale in your area. 8. Will using the app help me sell my home any quicker? Unlike previous real-estate websites or virtual tours that have been developed by realtors who want to show you the property in person but rather be shown the property room by room feature by feature just as if the owner was there showing the property in person via their phone. As a result you maximize the people that see your property in person in the shortest period of time also maximize your efficiency of time by only showing the property in person to those people that are truly interested. 9. Could this be considered a green app? Yes! This app creates savings in meany ways money time and environment. our unique trip cost estimator approximately what those savings are per property and can navigate you via google maps to the property with the vehicle cost, time, and gallons of gas savings. resulting in less green house gas emissions over estimates of hud statistics, the assumption that if every property had a free videofsbo showing when making the property available to the public for sale the following savings would occur based on the hud statistics. Buyer related savings could consist of the amount of driving to 15 homes in person. and are estimated to 31 billion in vehicle expenses over 1000 years of hours of time and nearly 1.6 billion pounds of green house emissions yearly.